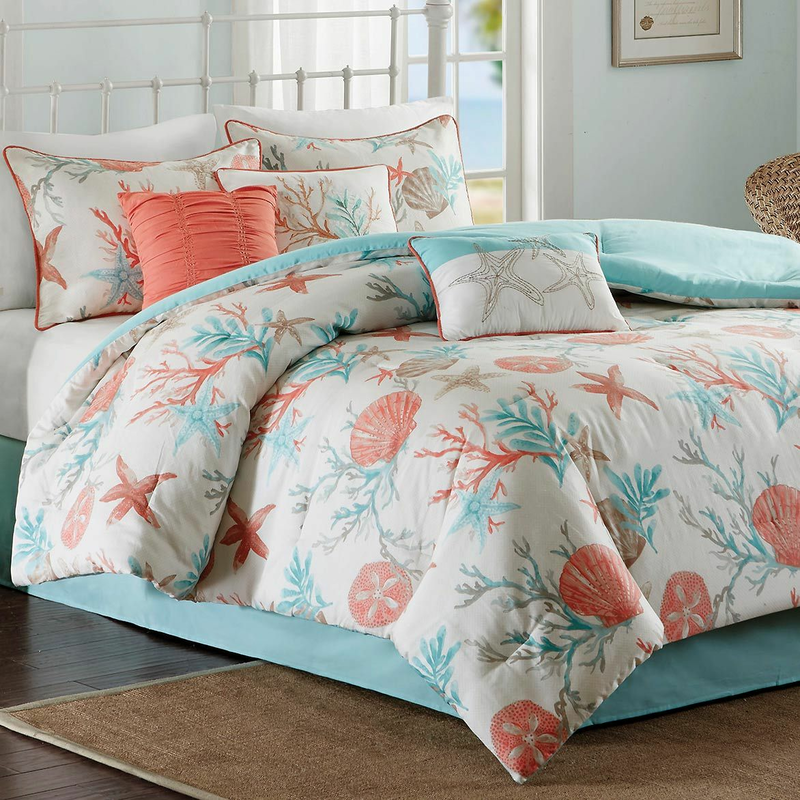 Printed on 210 thread count cotton, the rich coral and teal colors of the Coral & Aqua Reef Comforter Set - Queen play into the starfish and coral motifs for a textured look that adds color to your space. Three decorative pillows use embroidery and fabric manipulation to add dimension to your bed. These beach comforter sets ship from the manufacturer. Allow 1 to 2 weeks. Cannot express ship. For many more options, we invite you to take the time to go through our complete range of beach comforter sets at Bella Coastal Decor today.